The Kawhi Leonard era in San Antonio is officially over, as he is thriving in Toronto with the Raptors and away from the drama concerning the Spurs. 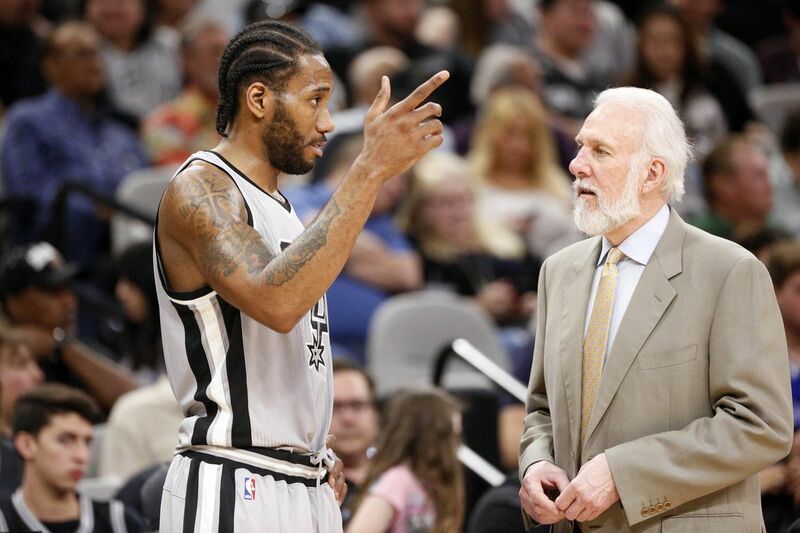 It seems like there’s still some salt from the side of Coach Gregg Popovich, who happened to speak on his former player and his leadership skills. Apparently, he wasn’t a leader in the S.A. locker room, but rather Manu Ginobli and Patty Mills were. At least last season. “I heard about it. It’s just funny to me because, you know, I don’t know if he’s talking about last year or not, but I guess when you stop playing they forget how you lead. Other than that, it doesn’t matter. I’m here with the Raptors. My focus is on the season and not what’s going on the other side. It’ll be interesting to see how both sides react to each other when Kawhi and the Raptors head to San Antonio to face the Spurs on January 3. The tensions will be high. These won’t be the last shots they throw at each other either.